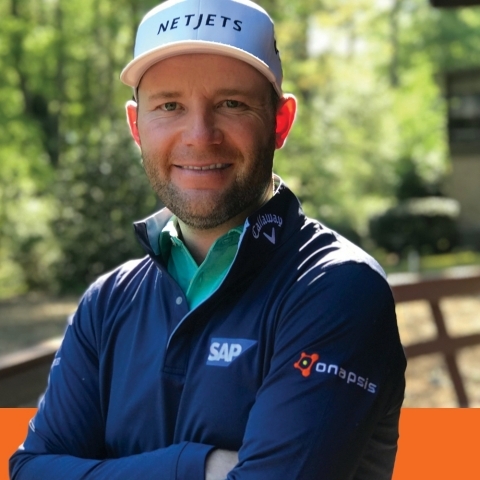 Onapsis, the global leader in ERP cybersecurity and compliance, today announced it signed a sponsorship agreement with South African star golfer Branden Grace. Through the partnership, Grace will wear the company logo on his left sleeve at all four major championships, starting today at 9:36AM EDT in the first round of The Masters. Grace, who has won 12 tournaments worldwide including two Commercial Bank Qatar Masters titles, The 2016 RBC Heritage and most recently the 2017 Nedbank Golf Challenge, heads to Augusta (News - Alert) National for his seventh consecutive appearance fresh off a top 10 finish at the WGC-Dell Technologies World Match Play. Onapsis solutions include the Onapsis Security Platform for SAP, which is currently the most widely used SAP (News - Alert)-certified cybersecurity solution in the market and serves over 200 customers including many of the Global 2000. Speaking about the partnership, 30-year-old Branden Grace said, "I'm delighted to work with Onapsis and I'm hoping to start our partnership with a fine performance at Augusta National. I already partner with SAP, one of the largest software companies in the world. When I heard how Onapsis is on the forefront in helping SAP's clients securely migrate to the cloud, I jumped at the opportunity to partner. I'm pleased to be able to help showcase their work and name to the world of sport." Commenting on Onapsis's first sponsorship of a professional athlete, Jonathan Daly, Onapsis vice president of global marketing said, "Onapsis is proud to join forces with Branden Grace for all four major championships this year. Branden is one of the best golfers in the world who was the first to shoot 62 in a major, and we are excited to be supporting him as he seeks his first major championship win. There are not many events in the global sporting calendar that captivate an audience like Augusta National and we are thrilled to showcase our company on a global stage with him." Onapsis cybersecurity solutions automate the monitoring and protection of your SAP and Oracle (News - Alert) ERP and business-critical applications, keeping them compliant and safe from insider and outsider threats. As the proven market leader, global enterprises trust Onapsis to protect the essential information and processes that run their businesses. Headquartered in Boston, MA, Onapsis serves over 200 customers including many of the Global 2000. Onapsis's solutions are also the de-facto standard for leading consulting and audit firms such as Deloitte (News - Alert), IBM, Infosys and PwC.